The Frasers of the Ridge are here! The fifth season of “Outlander” sees a continuation of the Fraser family’s adventures, as they navigate the trials and tribulations of life in colonial America. Establishing a home in the New World is by no means an easy task – and protecting it proves even more difficult – particularly in the wild backcountry of North Carolina, during a period of dramatic socio-political upheaval. As Claire knows all too well, friends, neighbors and countrymen are unwittingly marching towards Revolution, with members of the elite ruling classes struggling to stifle the alarming undercurrent of unrest triggered by the Regulator Movement. Against this backdrop, which soon heralds the birth of the new American nation, Claire and Jamie are forced to ask themselves just how far they are willing to go to protect their home, and praying there will be no reason to light the “fiery cross,” an ancient Scottish call to arms. Related Outlander video – At the bottom of this article, take a look at some more thoughts regarding filming. On the other side of doing that, remember to subscribe to CarterMatt on YouTube and check out our Outlander playlist. You don’t want to miss any other updates! So what we want to do today is go a little more in-depth on this synopsis. What matters within it? What direction is the show taking us in? We’ve got a few impressions below where we try to look into it, and really get an essence as to what this season could really be about thematically. It’s obviously about the early days Revolutionary War, but it goes a little bit deeper than just that. The first word that we think truly stands out here is “protecting,” since that is going to be a central theme for much of what is coming up next. Last season was really about finding a home; now, it’s about making sure that they can keep it. One of the clear subtexts of saving Fraser’s Ridge is that it represents something that Jamie and Claire have never quite had before. Lallybroch never was quite the permanent settlement they could have hoped for but they have it now. They just don’t want to lose it. Then, there is the idea of Revolution and history. Claire knows what is coming, and that makes a lot of this season more so about these characters biding their time more so than it does actually in belief that war will not happen. One person rarely ever moves the needle, and in a lot of ways, there may be a fear to change history dramatically since you don’t know where it will lead. She knows about the threat of war; the mystery is precisely how it happens and how she and Jamie get involved. 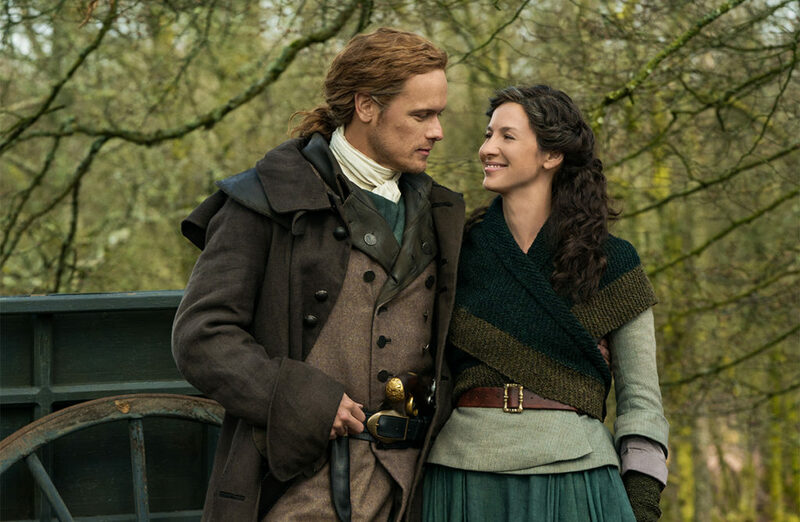 Let’s hone in now again on Fraser’s Ridge — since Jamie and Claire’s goal is to protect it, the basic idea of season 5 takes shape: This is the story of how the Fraser family tries to steer clear of bloodshed for as long as possible. They know the dangers that could inevitably be there, and they don’t want them to be at their doorstep. Maybe they’d be able to avoid it altogether, were it not for the X-factor known as Murtagh. That could be what spawns Jamie and Claire’s involvement and the aforementioned fiery cross. They’re not going to risk his life for the sake of their peace; that’s not them, and while we can’t guarantee his survival in season 5, we do foresee him being a big part of why events happen the way that they do on the show. Outlander is about family, it’s about love, and it’s about peace. However, sometimes in order to achieve the latter, some drastic steps do need to be taken. Sometimes, battles and blood are necessary. The intersection of conflict and comfort is one that constitutes season 5’s gooey center. Remember to visit the link here for some more thoughts on how Starz can promote the series.